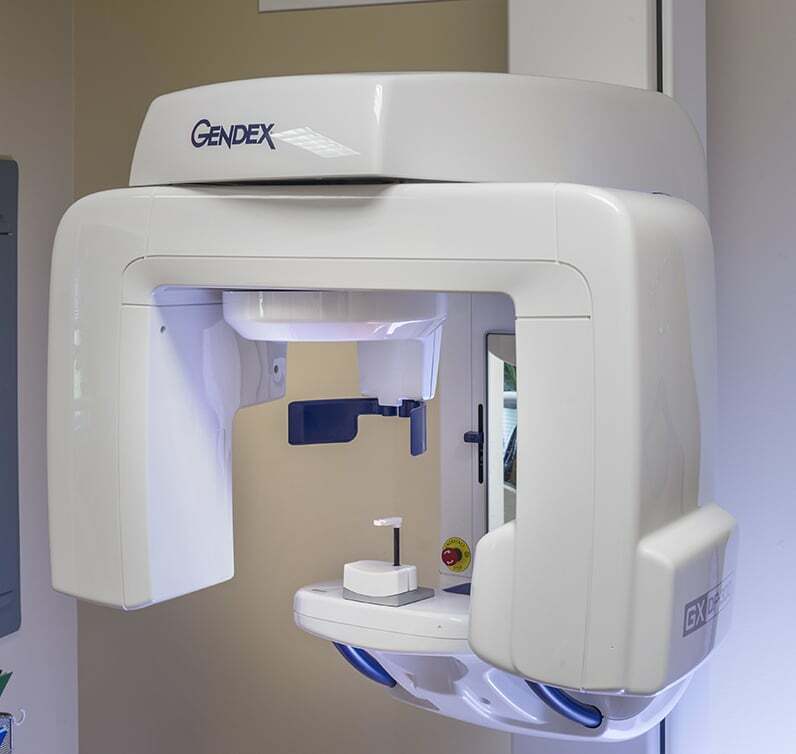 The Gendex Digital Panoramic x-ray system provides high-quality images of the patients mouth that is easily adjustable for any size. 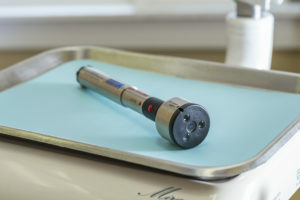 It also provides panoramic, bite-wing and Focus-Optimized X-rays to give the dentists the most accurate picture with increased depth-of-field for optimized radiographic image clarity. The proprietary FOX™ technology allows for instant capture of the image and consistent magnification image uniformity. The EasyPosition system and instructive alignment guides appropriately place and stabilize patients of all sizes, including those needing wheelchair accessibility, to reduce movement and optimize accuracy. 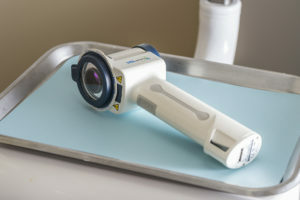 The Velscope® Vx handheld device emits a harmless, bright blue light which is used to inspect the mouth and tongue. The device is sensitive to abnormal tissue changes and the distinctive blue-spectrum light causes the soft tissue (oral mucosa) of the mouth to naturally fluoresce. Healthy tissues fluoresce in distinct patterns that may be visibly disrupted when tissue undergoes an abnormal change (which can occur in the oral mucosa for a multitude of reasons,) such as when associated with dysplasia or oral cancer. Some of the most frequently used clinical applications in dentistry include: postsurgical, analgesia after restorations and endodontics, nausea and gagging, facial pain/neuralgia and soft tissue lesions such as herpes lesions, denture sores, and angular chelitis. Stimulation of endorphins; reduction in the conduction of nerve fibres that carry pulpal pain ; stimulation of fibroblasts, osteoblasts and odontoblasts; and increased circulation and lymphatic drainage can all aid in improving clinical outcomes and decrease the pain felt by a patient after dental appointments.